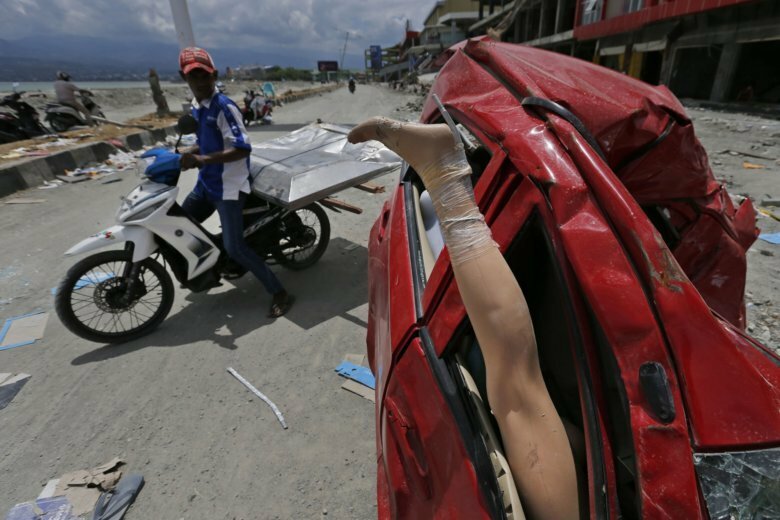 JAKARTA, Indonesia (AP) — The death toll from the earthquake and tsunami on Indonesia’s Sulawesi island has climbed past 2,000, the disaster agency said Tuesday, as authorities prepared to end the search for thousands of victims feared buried in mud and rubble in the hardest-hit neighborhoods. “On Oct. 11, we will hold joint prayers in Balaroa, Petobo and Jono Oge to end the evacuation of bodies,” he told a daily news briefing on the relief efforts. While the official search will end, Nugroho said authorities will not stop villagers from continuing to dig through the ruins for their loved ones. The disaster destroyed more than 65,000 homes and buildings, and displaced more than 70,000 people. Thousands are still living in temporary shelters and tents across Palu, but life is beginning to return to normal in some areas, with plans for redevelopment underway, officials said.